The Bo'ness Property Blog: Hard Brexit - How Would It Impact Bo’ness House Prices? Hard Brexit - How Would It Impact Bo’ness House Prices? 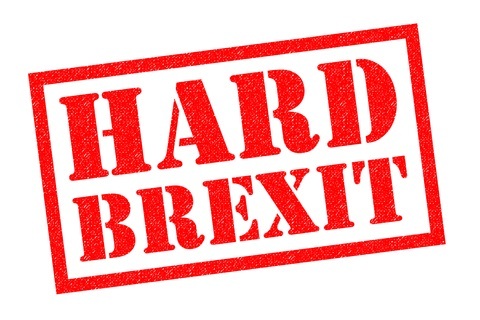 It seems that Brexit has been around for a long, long time but more and more the concept of a hard Brexit has been taking centre stage in the Brexit discussions recently. I am often being asked how a hard Brexit would affect the Bo’ness property market so I am going to try and give you what I consider a fair and unbiased piece on what would happen if a hard Brexit takes place in March 2019. After the weather and football, the British obsession on the UK property market is without comparison to any other country in the world. I swear The Daily Mail has the state of the country’s property market on its standard weekly rotation of front-page stories! There are better economic indexes and statistics to judge the economy (and more importantly) the property market. The number of transactions are just as important, if not more, as an indicator of the state of the property market. 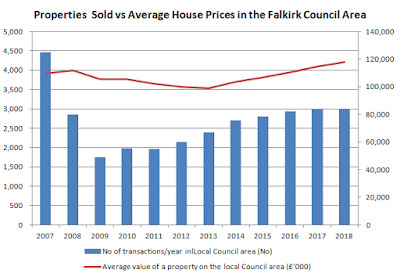 Worries that a ‘Yes’ vote in the Brexit referendum would lead to a fast crash in Bo’ness (and national) property values were unfounded, although the growth of property values in Bo’ness has reduced since the referendum in the summer of 2016. Now, it’s true the Bo’ness property market is seeing less people sell and move and the property values are rising at a slightly slower rate in 2018 compared to the heady days of a few years, but before we all start panicking, let’s ask ourselves, what exactly has happened in the last couple of years since the Brexit vote? …and yes, in 2018 we are on track (and again this is projected) to finish on 3,000 property transactions (i.e. the number of people selling their home) … which is slightly more than 2017 … and higher still than the long term 10 year average of 2,468 transactions in the local council area. I mean it was only nine years ago we went through the global financial crisis with the credit crunch. 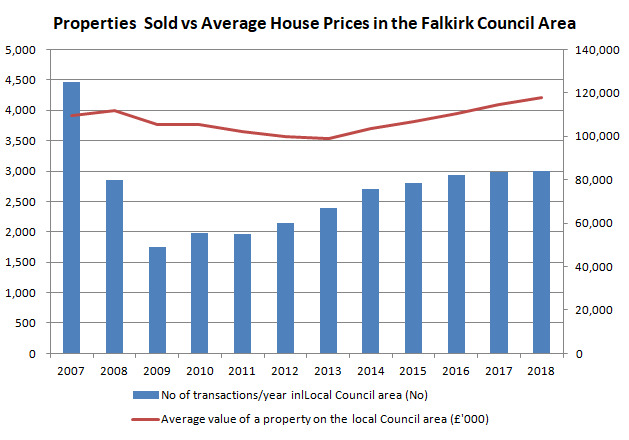 Nationally, in most locations including Bo’ness, property values dropped in value by 15-20% over a two to three year period. If we had a similar percentage drop, it would only take us back to the property value levels we were achieving in 2015. A lot of Bo’ness homeowners might wait until 2019 to move, meaning less choice for buyers, especially in the desirable areas of Bo’ness. For Bo’ness landlords, Bo’ness tenants are also likely to hang off moving until next year, although I suspect (as we had this on the run up to the 2015 General Election when it was thought Labour might get into Government), during the lull, there could be some Bo’ness buy to let bargains to be had from people having to move (Brexit or No Brexit) or the usual panic selling at times of uncertainty. Growth in UK property values as well as in Bo’ness seems fated to slow over the next five to ten years, whatever sort of Brexit takes place. We hope you find our posts useful. 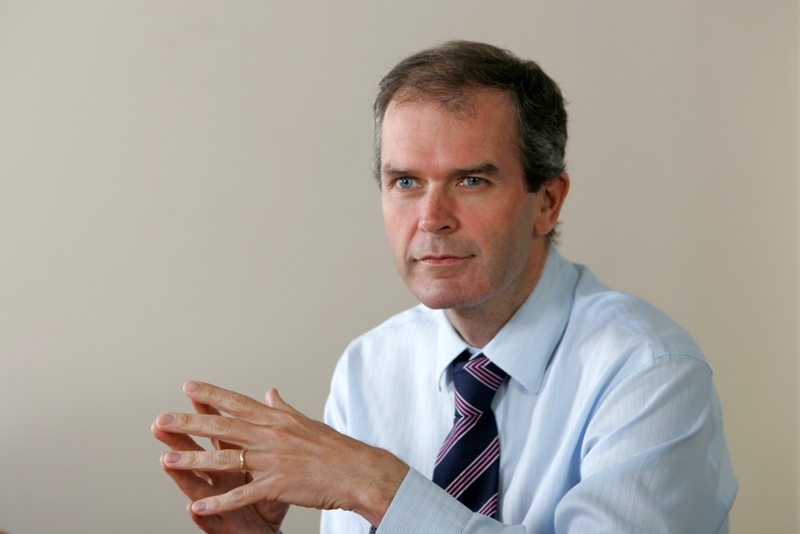 If you would like some advice with your potential investment, please call us (on 01506 828096), come and see us in our offices (6 Vicar Street, Falkirk) or email us (news@thekeyplace.co.uk).